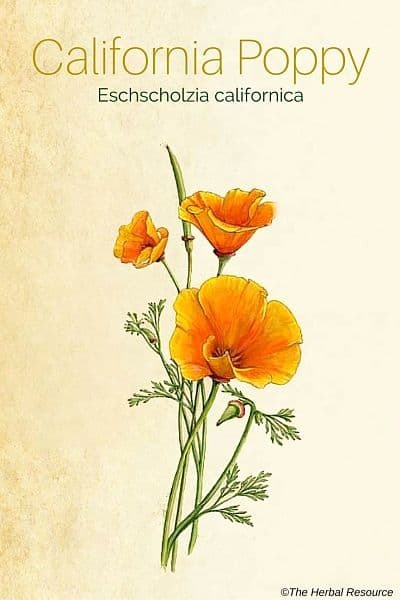 Other Common Names: California poppy, golden poppy, golden cup, Kalifornischer Mohn (German), pavot de Californie (French), amapolla de California (Spanish), guldvalmue (Danish). 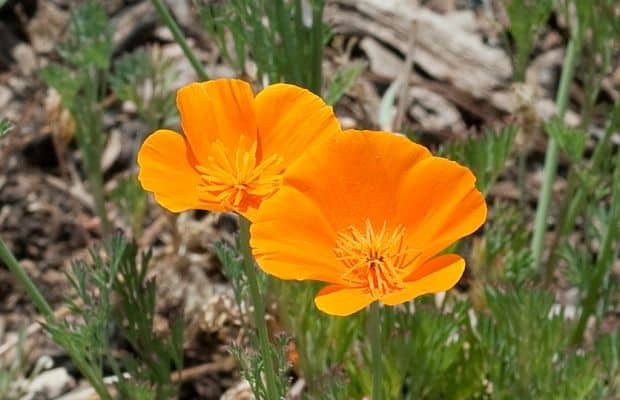 Habitat: The California poppy is native to California but is found along the entire western coast of the United States as far north as Washington state and as far south as Mexico. In addition, it has also been found in southern France, Australia and Chile. It is the California state flower. Plant Description: The flower is usually golden orange, hence its common name “golden poppy.” The receptacle has an expanded rim that holds the young bud with two sepals until it blooms. The stem of the flower grows to approximately 5 to 20 inches tall, with teal colored leaves sprouting from its base. The plant is prolific with numerous dark-colored seeds held in the center of the flower within slender, ribbed, single-celled seed capsules. Plant Parts Used: Root, leaves and seeds. Bitter to the taste with subtle euphoric properties, the entire plant of the Californian poppy is harvested in maturity. It is dried and used for medicinal purposes as a diffusion, tincture, and powder. The main active ingredients are alkaloids such as chelirubine, sanguinarine, and macarpine. Other alkaloids are present in minor concentrations. The herb also contains flavon-glycosides. Gentle in effect, the major health properties of this herb are sedative, analgesic, and antispasmodic in action. The California poppy is a member of the poppy family and somewhat distantly related to the opium poppy (Papaver somniferum). While the California poppy does contain some sedative alkaloids, it contains no real opium. 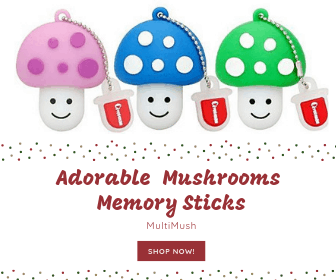 The most common use of this herb is in diffusion for treating the various physical and psychological conditions including insomnia, bedwetting (incontinence), anxiety and nervous tension, particularly in children. Because of its sedative properties, the California poppy can be used in the treatment of behavioral disorders such as ADD, ADHD in children and young adults. An experienced therapist should be consulted before using the plant for this purpose. In addition, this herb has also been used to improve intellectual capacity, memory, and concentration in the elderly. As a tincture, it is used for its antimicrobial properties applied externally to cuts and scrapes. The herb´s analgesic and antispasmodic properties have been found useful in the relief of acute nerve and muscular centered pain. It has been used as a remedy in cases of high fever, rapid pulse, and persistent spasmodic cough. A tincture made from the root of the California poppy is prepared as an external wash for suppressing lactation (the production of milk) in breastfeeding women. The leaves of the flower are used externally in powder form for antimicrobial properties as a treatment for the elimination of head lice with the same effectiveness as Berberis repens (creeping barberry). The herb is available in dried or tincture extract form. Tea diffusion can be made using 2 grams of dried herb for each 150 ml. of water, taken two to three times daily. In tincture or extract form for mild pain and anxiety 15 to 25 drops can be taken three times a day; for severe cases, 30 to 40 drops, two to five times per day. This plant is considered child safe and based on normal intake levels there are no known side effects from using this herb. The use of the California poppy is not recommended for women who are pregnant or breastfeeding. Hoffmann, David: Herbs for a Good Night’s Sleep. New Canaan, Keats Publishing, Inc., 1997. Kenner, Dan and Yves Requena: Botanical Medicine. A European Professional Perspective. Brookline, Paradigm Publications 1996. I obviously prefer organic/ homeopathic remedy for sleeplessness. I started using mother tincture (10 drops) twice a day with a doctor’s advice. But I haven’t got good results yet. For my nerve and muscle condition, all I can say is that it works! It helps with my insomnia, too! It really works for sleep. I’m a nurse and prefer an organic method for sleep, and this really works. I use this with and for my bipolar medication. I like it for my manic stages and it keeps me in an even mood all day and night. It works great for bipolar and for me it is a must-have.